Print any image. Large Window Shade Specialists. OrangePiel is a full-service design and technology company that helps customers create custom printed decor, like window shades and acoustical wall murals. We work with everyone from individuals to Fortune 100 companies to add custom printed decor to their environment. What makes our roller shades unique? OrangePiel works with both residential and commercial clients and settings to add unique design to traditionally drab window treatments. 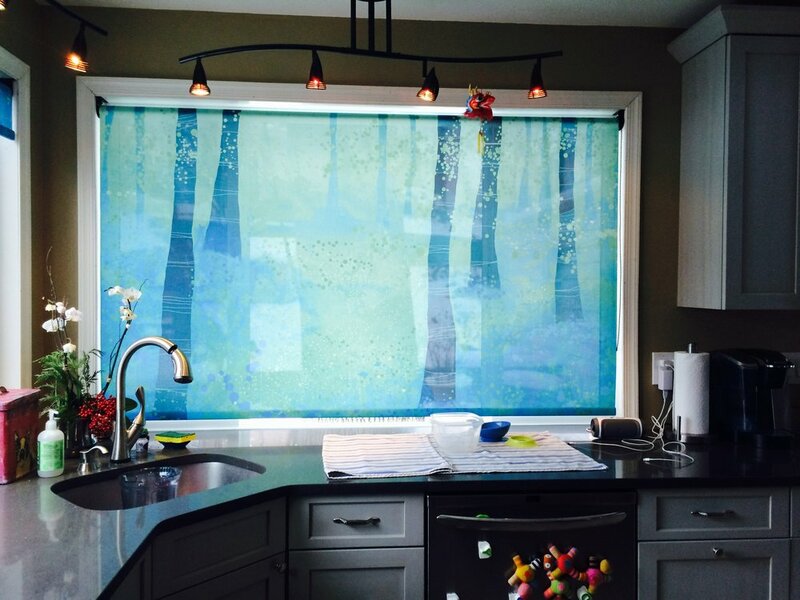 We built the first fully customizable printed window shade Design Studio to customize printed window shades online. Well, we can print on lots of different products. Right now, we specialize in creating custom printed window roller shades and printed acoustical murals. Keep on reading below. Do you have a specific custom printed decor items you need help with? Contact us directly. We are family-built organization and we pride ourselves in our assurance that you will always be able to talk to us directly if you need help. Why do folks choose acoustical wall murals? Many restaurants, offices, and large buildings have issues managing noise levels. OrangePiel acoustical wall murals can be seamlessly printed up to 165-feet wide and 16-feet tall to create an acoustically controlled interior environment. Trusted by some of the world's friendliest homeowners and biggest brands.